Crossfire Ministries provides opportunities to introduce Jesus Christ to hurting youth and their families by providing a safe haven where life-giving friendships are developed, lives are renewed and connections are made to the greater church. We communicate through email and Facebook. To stay engaged, please signup and/or follow us. Preserving the dignity of youth. Exercising integrity in self-control, spiritual discipline, and accountability. Valuing the urgency of the Gospel and the power of prayer. Seeking to be responsible for the welfare and safety of youth while in our care and to offer a safe haven for youth to socialize. Encouraging positive communication between parents and youth as well as respecting parental authority. We value the God-ordained institution of parenting, therfore, we respect parental authority. We value healthy family relationships, therfore, we encourage positive communication between parents and youth. We value parental trust, therefore, we seek to be responsible for the welfare and safety of youth while in Crossfire's care. We value families in stressful situations, therefore, we seek to provide shelter, rest, and grace for those in need. Conduct all dealings, activities and interaction with the highest level of integrity. Communicate clearly all expectation of linked organizations. Refer youth to specialized ministries when needed. Partner with other like-minded organizations to enhance our ministry activities. In early 1992, James Horning was driving dumpster truck for SonRise Handyman Service. One of the jobs was removing construction waste from a sports bar being built across from the F & M College in Lancaster PA. When the building was completed, James and a couple of friends went to check this facility. Inside they found a very lively atmosphere. College students were enjoying themselves with shooting games of pool, basketball, air hockey, very loud music and a huge screen to watch sports games. The students were also indulging in the consumption of alcoholic beverages. 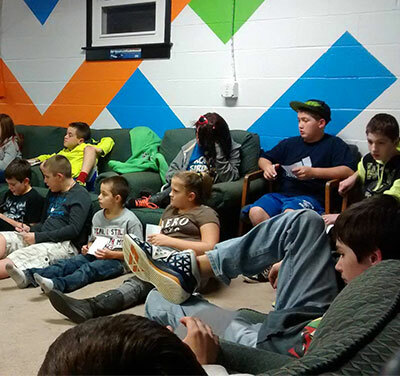 On the way home from this night the Lord impressed upon James the need for a facility like this for teens without the alcohol and a place where positive moral standards could be taught and an opportunity to share Jesus Christ with students. Thus the beginning of Crossfire Youth Ministries. We value every donation as a sacred gift from God, therefore we seek to be good stewards of all that has been entrusted to us. 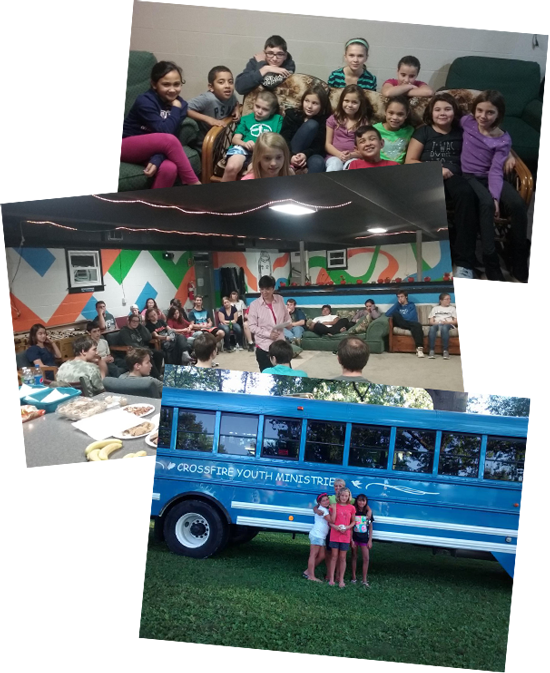 Crossfire Youth Ministries is a 501C(3) non-profit organization depending on donations from individuals, corporations, and churches. Copyright © 2019 Cross Fire Youth Ministries.